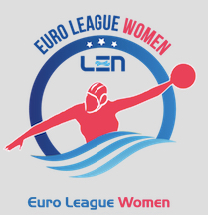 No major upsets in the prelims of the women’s Euro League: after a tough weekend all favourites went through, each of last year’s Final Four participants managed to come first in the respective groups. Russia, Spain and Hungary all have two sides among the best eight, Italy and Greece are represented by one club apiece. Title-holder CN Sabadell earned two easy wins against Ugra (RUS) and Vouliagmeni (GRE) while playing at home in Group A, they had only one close game, against BVSC (HUN) but at the end of the day the Spaniards did a clean job. The decisive match for the second qualifying spot brought big drama as Vouliagmeni played pretty well for three periods and went 8-5 up before the last break. However, as it often happens to Russian teams, when taking risks seems the only remaining choice, they could produce miraculous escapes – and this happened once more. Ugra won the last period 0-4 and even though the Greeks had two extramen in the last two minutes they were unable to save the game to a draw and the 8-9 win sent the Russians through. The other Russian side, Kinef, bronze medallist in last year’s Final Four, had even less head-aches in Spain as they won all three matches by convincing 5-6-goal margins. Here the in-house battle of the local sides decided the second place. LEN Trophy winner Mataro took an 8-5 lead deep into the third period but host Sant Andreu came back in the fourth, scoring twice in 49 seconds to level the score at 9-9 with 2:06 to go. However, Mataro had the last laugh, Laura Lopez netted the winner for 10-9 with 1:10 remaining (it was her third goal in the match), securing the second place for her team. Olympiacos (GRE), Euro League winner in 2015, managed to finish atop in Group C, though the hosts had to go through some scares before securing the respective wins over Dunaujvaros (HUN) and Utrecht (NED). The Hungarians never led in the game played on Day 2, still, they kept coming back and levelled the score at 6-6 after being 6-4 down. In the fourth the Greeks rebuilt the two-goal cushion but the visitors pulled one back (8-7), but the remaining 3:19 minutes didn’t bring any goal (and extras). Against the Dutch, Olympiacos went 2-4 down despite going 2-0 ahead but later they managed to net three straight goals and were 5-4 up again before the last period. Utrecht equalised but Alkisti Avramidou’s shot from a 6 on 5 turned out to be the game-winner (6-5) since the remaining 4:29 minutes didn’t see any more hits, only a handful of missed man-ups at both ends. UVSE Budapest (HUN) enjoyed a fine weekend in Sicily, beating both Italian sides and Leiden (NED) with ease. Though the final scoreline of the game against Padova (ITA) looks tight, in fact it was a one-sided battle. Boosted by their scoring-machine Rita Keszthelyi – who netted four in this match –, UVSE took control early, jumped to a 1-5 lead by the middle of the second period and kept a safe distance for most of the time. Last season’s runner-up led 4-8 in the fourth before conceding two goals in the last minute (6-8). The all-Italian battle for the second spot brought some excitements for two and a half periods, but after 4-6 Padova widened the gap (4-8) and even though Messina scored for 5-8 with 0:07 seconds remaining in the third, their rivals hit back with 0:01 on the clock. An early goal in the fourth for 5-10 settled everything, though Messina had some consolation later (7-10). The top two seeded sides from each group qualified for the quarter-finals. The draw is to be conducted on 21 January (Saturday) in Tbilisi (GEO), on the occasion of the LEN Technical Water Polo Committee Meeting.